Health Care Insights - From Policy to Practice: Register for the Oncology Management Summit by Friday 5/23 to Save $400! Register for the Oncology Management Summit by Friday 5/23 to Save $400! The recent debate over healthcare reforms has made one thing clear: unsustainable costs are leading to fundamental shifts in the way cancer care is delivered. There is a growing expectation that healthcare represents good "value". As a stakeholder within the cancer care value chain many complex issues vie for your time and attention. You must simultaneously grasp the big picture, staying abreast of the changing oncology landscape, and keep focused on the day-to-day concerns that impact delivery of effective and efficient patient care. At IIR's Oncology Management Summit you will walk away with solutions to the most critical issues: cost, access to care, incorporating new technology, and meeting standards for patient-centered care. Oncology pioneers provide an understanding of the big picture, but also with practical, useful information to help you improve care now. IIR's Annual Summit for Oncology Management is your 360° view of the cancer value chain; where stakeholders and influencers including payers, providers, hospital systems, leading cancer centers, and pharmaceutical executives convene to discuss how to control costs, increase quality, determine value and improve overall patient experience for cancer care. 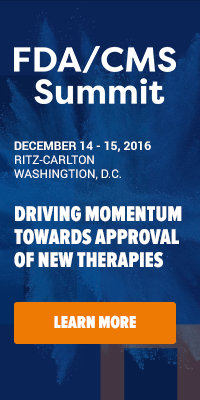 For a more detailed look into the Oncology Management Summit, download the agenda.